Hon. Munah Pelham-Youngblood who just returned to work from her sick bed, is extremely upset over the appointment of Mr. Bobby Whitfield. She is not upset that he was appointed, but the principle behind his appointment. Hon. Pelham-Youngblood was originally task by the president to recommend two names for Executive Director and Chairman of Water, Sanitation and Hygiene Commission. However, Hon. Pelham-Youngblood delayed the recommendation due to her illness, until her return to the country. According to the Liberian Billboard, while Hon. Pelham-Youngblood was outside the country, Hon. 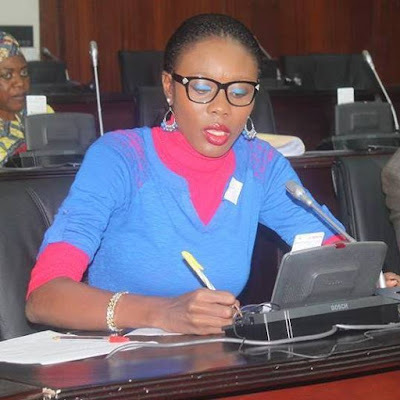 Thomas Fallah and Saah Joseph bypassed her and went to the President with recommendations, insisting that it was urgent that he appoint officials at the Commission, since the Act establishing the commission has just recently been passed into law. Based on that information, the President appointed Mr. Bobby Whitfield and Mr. Salia Kamara as Chairman and Executive Director of the Commission. These appointments didn't sit well with Hon. Munah Pelham-Youngblood, who saw it as disrespect by fellow colleagues. In retaliation, the District 9 representative has threatened a "sour working relationship" with the commission and also pledged to withhold the necessary allocation for the commission in the next budget. In responds, Hon. Fallah, Chairman of the Ways, Means and Finance Committee said Hon. Pelham-Youngblood threats are vain, because as chairman of the committee, he has the final say in budgetary allocations, nobody has the power to stop any agency from getting the required funding apart from plenary, and that plenary acts based on his committee’s recommendations. Hon. Saah Joseph said the President’s appointment is final and Hon. Munah Pelham-Youngblood can’t do anything about it.